How many of you have swung by Match on a Tuesday for their $1 mini-burger special that I told you guys about back in February (here)? Well if you haven't yet, maybe this will entice you. 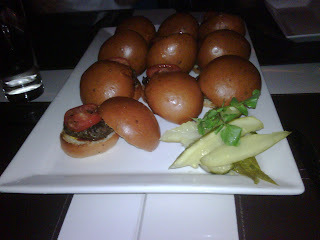 A platter of 10 miniburgers for $10 = awesome! 1 Response to "1000 Words: Match Mini Burgers"
I need to get to this place!